Overcoming impatience is possible, when you learn to become aware of your own thought processes. Awareness is the first step to self control. Normally, without your consciousness, subtle neural pattern recognition (PR) makes you feel impatient when you are stuck in traffic behind a slow driver. PR is a process, which enables you to understand the intentions behind the behaviors of other people or of other systems. Impatience is the reaction of your system, when you sense that another person, or the world itself, is proceeding more slowly than you want to. You can overcome your impatience by discovering your trigger points for it and by deciding whether to calmly speed up the other person's leisurely pace, or to accept it and flow with it. You can control your responses, because the constitution of your brain is not mathematical, but instinctive. Volatile instincts can be stilled. Only a pattern recognition model of the mind can explain human behavior. The mirror neuron network lets you know how quickly you will get your service. Timing systems in the brain differentiate between needed speed and actual speed. Professor Schultz uncovered these accurate timing mechanisms. Territorial instincts respond to obstruction. The focus for some people is to extract the maximum value out of each moment. A car which fails to start is perceived as a threat. Success comes from focus on a few opportunities, not from too many irons in the fire. Patience is the virtue of successful people. Professor Schultz discovered that patience brings energy. Self awareness is the key to stilling one's impatient urges. Mathematics can hardly explain the link between nerve impulses and an abstract concept like impatience. Cognitive theories hypothesize that received impulses are mathematically processed by neurons to produce outputs. But, it is hard to imagine a maths equation which links neural impulses to exasperation. Sensory inputs and motor outputs are patterns of nerve impulses. 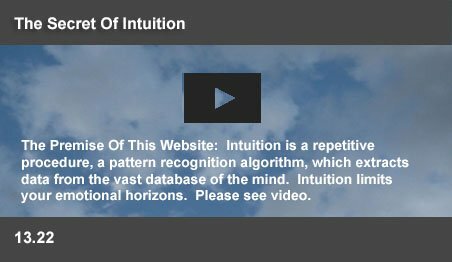 This website suggests that such subtle processes are powered by the PR capability of the so called mirror neuron network. These circuits are contextually positioned in the sensory, motor and emotional regions of your brain and translate the intentions, actions and feelings of other people into your personal subconscious experiences. Unlike a mathematical model of the mind, a more feasible PR framework is suggested in these pages. Coded PR (Nobel Prize 2004) was shown to identify the subtlest of patterns. The olfactory system was reported to distinguish between the aromas of tea and coffee through combinatorial coding. Such PR coding enables the storage and manipulation of astronomically large lodes of experience to produce the outputs of the nervous system. 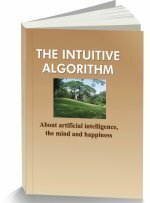 Intuition enables the mirror neuron network to recognize the grimace of a friend to create your inner awareness of her pain. Impatience is a similar PR process. Located in all the relevant regions of the brain, mirror neurons enable you to sense the intentions, actions and feelings of other people as your own personal experiences. Mirror neurons in the monkey ventral premotor cortex were reported to discharge during the execution of its own goal-directed hand movements and also when the monkey observes similar hand actions by other animals. The mirror neuron network observes others and senses the precise muscle movements they make to achieve specific goals. Similarly, by sensing internal thought processes, the network provides you with more personal data than you can ever uncover by talking to a person. Scientists suggest that less than 10% of social understanding comes from spoken words. The mirror neuron network makes you subconsciously aware of how quickly you will get service at a restaurant, or how long it will take you to get to the end of the queue. Impatience is when you sense that the mechanisms which control your environment are seen to move at a slower pace than your own subconscious plan of action. The driver of an automobile subconsciously controls the foot pressure on the gas pedal, timing it to keep pace with road traffic. A co-passenger mirrors this action within his own mind. Empathically, his motor neurons shadow this activity. If the driver unnecessarily slows down, the mirrored motor neuron activities of the passenger fail to keep pace with the timing required to keep up with traffic. The mirror neurons of the passenger will ineffectually seek to apply more pressure on the gas pedal. The brain has timing systems to detect the subtle difference between the required speed and the actual speed of the automobile. In experiments on laboratory animals, Professor Wolfram Schultz discovered accurately controlled internal timingmechanisms. These mechanisms could predict the precise times, measured in seconds, when a reward could be expected. The passenger senses that external events occur at a slower pace than his willed controls. Internal pressure against perceived restraint triggers the impatience emotion. While obstructions trigger anger, impatience is predisposed to perceive tardy situations as threatening territorial goals. For impatient people, the conquest of territory is linked to the accomplishment of the most number of goals as quickly as possible. The individual's goals demarcate the territory, which he aims to occupy. When a slow moving process threatens to obstruct this plan, the territorial protection regions within the early reptilian part of the brain respond. At this level, the hypothalamus in the limbic system responds to territorial threats. A patient with severe brain damage, with the hypothalamus intact, was reported to growl or exhibit distress, when approached. In this case, forced restraint becomes a threat, which becomes a trigger point for the amygdalae. In experiments on caged rats, the animals received painful foot shocks, accompanied by specific sounds. Later, the sounds alone were observed to induce stresses in the animals. The sound signals were noted to generate stronger responses in the input synapses of the amygdalae. The neural junctions receiving the signals increased intracellular calcium, leading to protein synthesis. The sound to pain relationship was retained in memory as long-term potentiation (LTP), a persisting potential, causing the amygdalae to react more readily to such signals. It is not energetic competitiveness, but increased hostility, which is now believed to precipitate heart disease. The signals from the limbic system travel to the adrenal gland, which produces cortisol, causing an increase in glucose production to provide additional fuel for the muscles and brain to deal with the potential stress. A chain of biological events engulf the mind. They are triggered by an instinctive brain, which adopts hostility to overcome obstructions by preparing the body for physical battle to claim territory. Impatience triggers a powerful emotional response. When hostility takes over, the signals increase blood pressure, increase red blood cells, release sugar into the blood and increase the tendency for blood clotting. There are several common symptoms for impatience, including constant jaw-clenching and teeth-grinding, swearing at the slightest frustration, and proneness to high blood pressure. Habitual impatience may originate from a childhood fear of not being permitted to “join the game.” By the time a person reaches adulthood, the neural pathways underlying impatience become well established in the brain. At an early age, LTP circuits in the limbic system develop to reinforce an irrational fear that life itself will prevent the fulfillment of the individual's full potential. This fear shifts the focus of the mind to extract the maximum value out of each moment, while feeling oneself unwillingly tied down in the present. The entire body becomes geared to finish each activity as quickly as possible to get on to the next. The individual's clock is speeding at one pace, while the world moves at a slower pace. Impatience can trigger a creative audacity. The emotion drives successful and fiercely competitive Type A managers, prepared to take risks and leap in where others fear to tread. Always, for them, “What I am doing right now is extremely important and urgent.” Impatience can also trigger an intolerance of any obstruction, leading to destructive behavior. The impatient person may strongly believe in “a clean work table” concept – a conviction that jobs should be done straight away, (not left on the table) to avoid the vicious problem of procrastination. With this fixation, LTP circuits will be triggered for each perceptual signal, which indicates that the job remains to be done. The sight of an unfinished task triggers impatience and emotional tension. Added to this is the vexing awareness that reminders may be interpreted as nagging, or bullying. Even if it is pointed out by others, most people remain genuinely unaware of their habitual impatience. They see life itself as a constant, unyielding obstacle. They cannot tolerate slowness, delay or failure, either in others, or even in themselves. A car that fails to start is as much a threat as a mugger on a dark street. Impatience may lead to angry outbursts, seeing unhelpful people as a hindrance, and thrust them out of the way. They are constantly prepared to go on the offensive, ready to push ahead and punch through obstructions. Impatient people struggle to finish the present activity, which they perceive as something which holds them back from attempting more important things in life before death strikes. More trouble arrives when the lack of exciting opportunities and the slow pace of one's career add desperation to impatience. Modern marketing techniques prevail on people to pursue more goals than they can comfortably achieve. Training opportunities are offered for thousands of careers and hobbies. Each one adds another attractive goal in life. Since they fear being left out of the race, impatient people feel a need to attempt many goals. The underlying logic is that when you have many irons in the fire, at least one of them will produce success. But, depth, rather than width is the key to success. Eliminating less promising fields is the strategy of most successful people in the world. They discover their inner strengths early and focus on a few goals. Gladwell disclosed the "10,000-Hour Rule" that success in any field is, to a large extent, a matter of dedicated and persistent practice. Focused effort invariably lies behind significant successes in life. It is better to discard fields which lack promise early so that your efforts can be concentrated in the more likely fields, where you have a chance of excelling. Too many goals can be self defeating. Early in childhood, impatient people set an ambitious plan for achievements in life. Anything less appears to them to be an acceptance of failure. They carry a Bucket List of things to be done before they die. But, success comes by fully grasping the few real opportunities, which each person gets in life. Mental goading cannot increase the fortuitous appearance of such opportunities. In his famous novel, James Clavell outlines the strategy of a warlord in Japan, Lord Toranaga,. His goal was to destroy his last powerful rival and become the Shogun. His plan was to wait patiently until “one day, his rival will make one mistake and then, he too will be gone!” That strategy demands an unparalleled level of patient, clear sighted vision, not impatient fretting. Patience calms you. The mood is directly related to your prediction of the time or effort needed to reach a goal. Professor Schultz discovered that nature dispatches dopamine to the forebrain for the precise estimated time you feel you need to achieve a particular goal. Dopamine brings clarity of thought and reduces the negative emotional activity of the amygdala. If you expect things to be completed in less time than it will actually take, the dopamine flow stops before your goal is reached. Your energy drops and the amygdala becomes free to amplify the turmoil surrounding your impatience. Stress follows. Only patience grants the energy to attempt demanding goals. Patience also adds the benefits of peace of mind and long life. First, overcoming impatience needs an inner conviction that calm patience is a preferable option. Impatience is a problem and not a solution. Second, you need to refocus your life, concentrating on a few achievable goals, while systematically discarding those where you do not enjoy distinct advantages. Third, in reading this page, you have indicated a desire to overcome your impatience. With that desire, you have already travelled far on this road. Fourth, you need to become aware, when impatience strikes. This requires self awareness. Self awareness is key to the meditation practiced for centuries by the Buddhists. They advised “staring back” at your thoughts. Matthieu Ricard, a respected Buddhist monk said: "One may wonder what people do in retreats, sitting for eight hours a day. They familiarize themselves with a new way of dealing with the arising of thoughts." "When you start getting used to recognizing thoughts as they arise, it is like rapidly spotting someone you know in a crowd. When a powerful thought or anger arises, you recognize it. That helps you to avoid being overwhelmed by this thought." Self awareness is a powerful method of controlling your mind. But it requires a willingness to attribute difficulties to internal causes. Awareness of the trigger points will bring acceptance. You will understand the many sincere people, who have a tendency to procrastinate. It is may not be possible to change their nature. You will understand those people and the worlds they manage, which operate more slowly than you would like. You will accept the need for repeated reminders. An acceptance of their weakness, along with calm reminders will avoid an impatient and confrontational approach. This page was last updated on 22-Feb-2016.